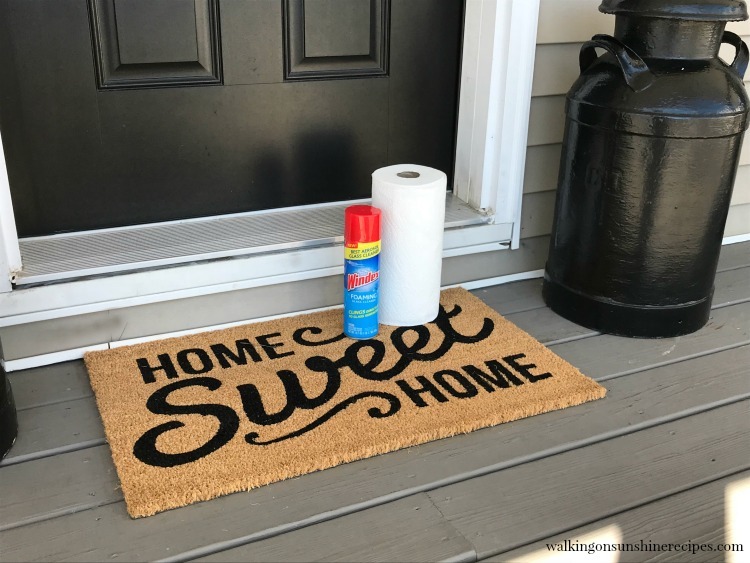 How to Get your Front Porch Ready for Spring was sponsored by SC Johnson. All opinions expressed in this post are my 100 percent my own. 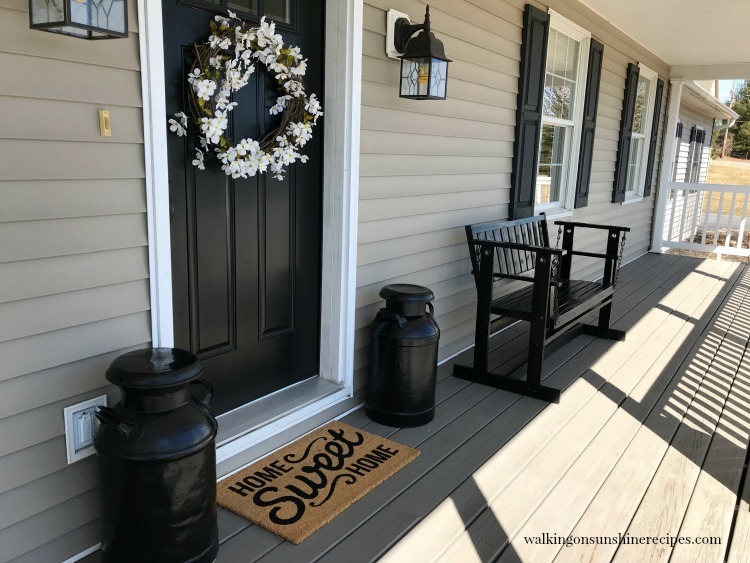 After the very long winter we had in our corner of the world, I am more than ready to get our front porch ready for Spring! I am looking forward to enjoying a glass of iced tea and watching the beautiful sunrises and sunsets all from that cute swing! But in order to get our front porch ready for Spring, I need to do some serious cleaning. Especially the windows. They always seem to be hit hard from the winter storms. I love having a front porch and I love having it be the first thing our family and friends see when they come to visit us. 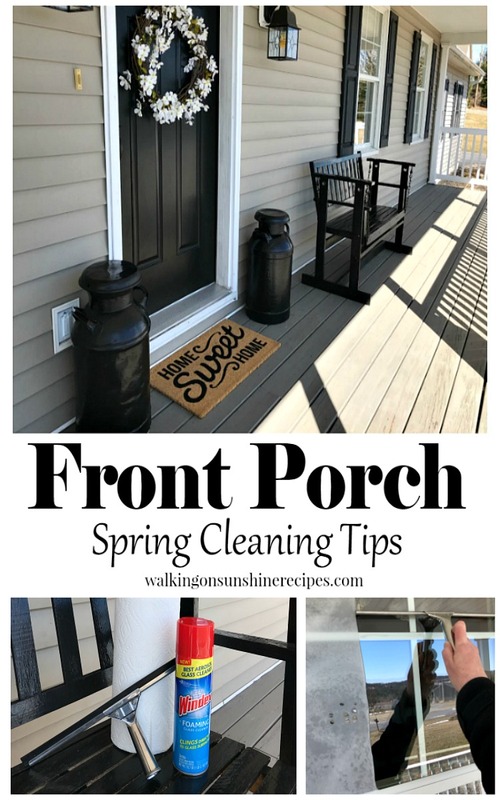 Here are just a few tips to help us clean and get our front porch ready for Spring. Remove everything from the front porch. Start with cleaning the windows. Make sure you clean the windowsills as well. Wipe down the front door. Using a stiff broom, give the floors a good cleaning as well. Hang up a pretty spring wreath. Lay down a new welcome mat. 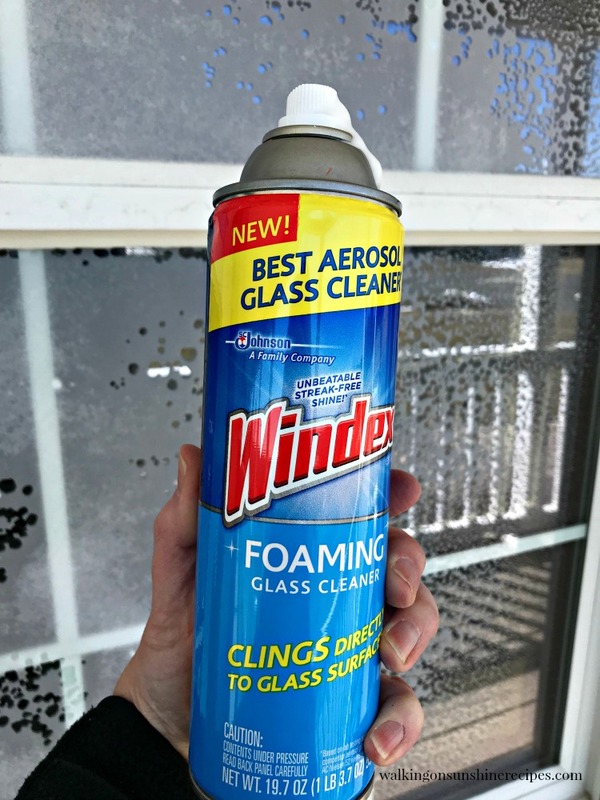 To help me get the windows sparkling clean, I’m using Windex® Foaming Glass Cleaner. It removes dirt, grease and grime from mirrors, vertical glass surfaces, glass tile and especially WINDOWS! I love that it’s a foaming formula and clings to the surfaces you need to clean and doesn’t spread or drip all over the place. Look how the foam is clinging to my window! To get the windows really clean and streak free, I use a paper towel. Look how dirty the windowsills are! Not to worry, Windex® Foaming Glass Cleaner works great on all this grime too! 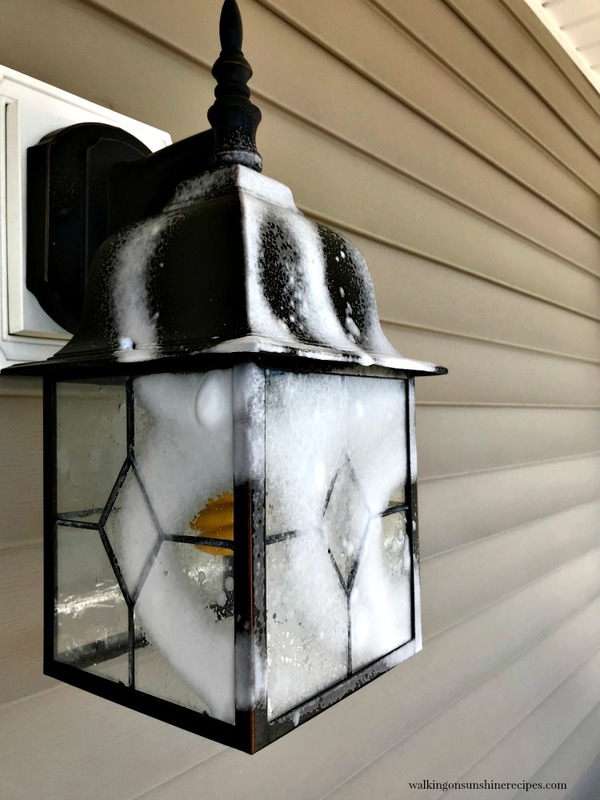 Now that the windows are clean, let’s turn our attention to the light fixtures. Again, look how great the Windex® Foaming Glass Cleaner clings to the glass on the lights. There’s no dripping and no mess! I used another clean paper towel to get the light fixture squeaky clean! Look how great the windows and the light fixture look! Here’s a closeup of the windows. 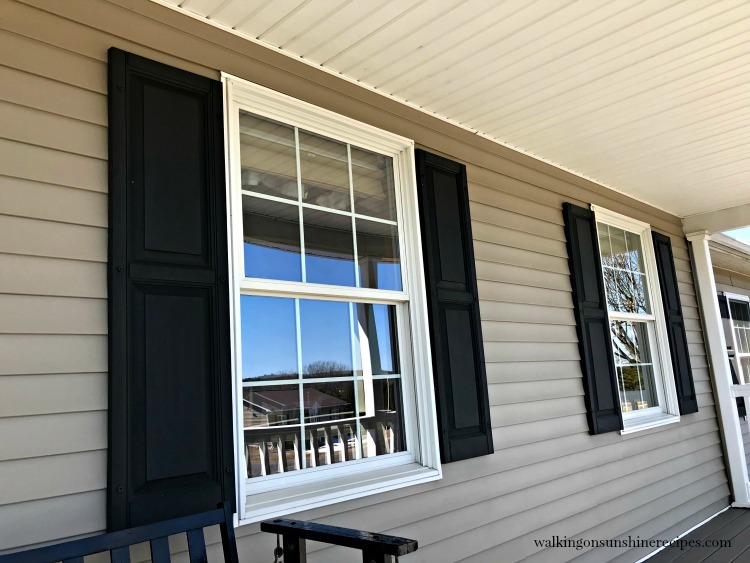 You can really see how Windex® Foaming Glass Cleaner helped the windows get that unbeatable streak-free shine that Windex® products are known for! I thought this pretty white flowered wreath would be perfect on our front door now that everything is clean! And of course, a new welcome mat always makes everything look beautiful. I especially love the “Home Sweet Home” saying that will be sure to welcome our family and friends to our home. If you want your windows to have that unbeatable streak-free shine*, make sure you pick up some Windex® Foaming Glass Cleaner the next time you’re shopping in Walmart. It really is the best glass cleaner! So many great ideas! I like how you cleaned the window sills and lantern with Windex. They came out perfect! Your porch is definitely Spring Ready. We need to enjoy every minute of Spring after the extremely long and bitter winter we had here in our corner of the world. Thank you for visiting Meegan. I love that welcome mat! I’ll have to look for that front door mat! Thanks! I love how purchasing something new makes everything look pretty. Thanks for visiting. 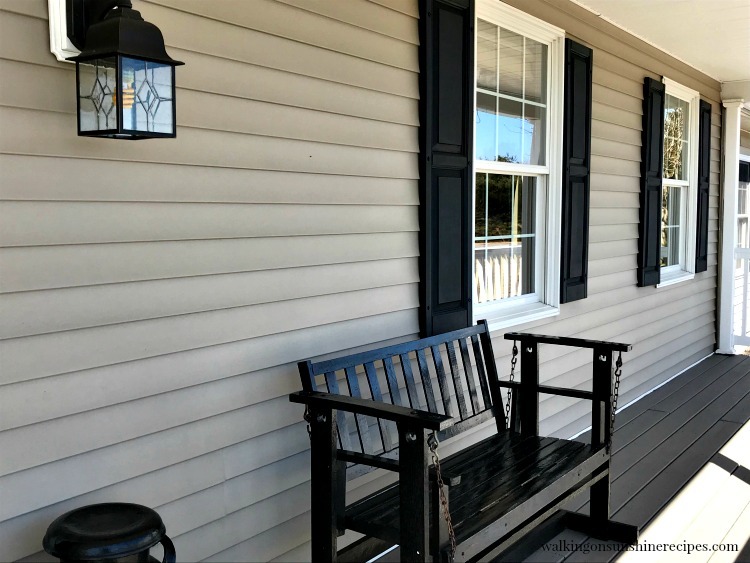 Your porch inspires me to have our exterior cleaned up … it needs some serious attention and looks like this Windex is a good way to start! 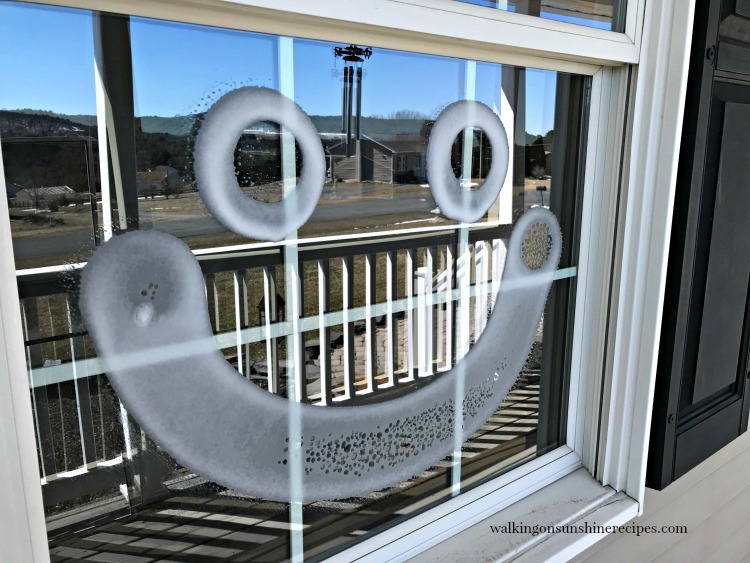 This foaming product worked particularly great for our windows! I was very impressed. Thank you for visiting! 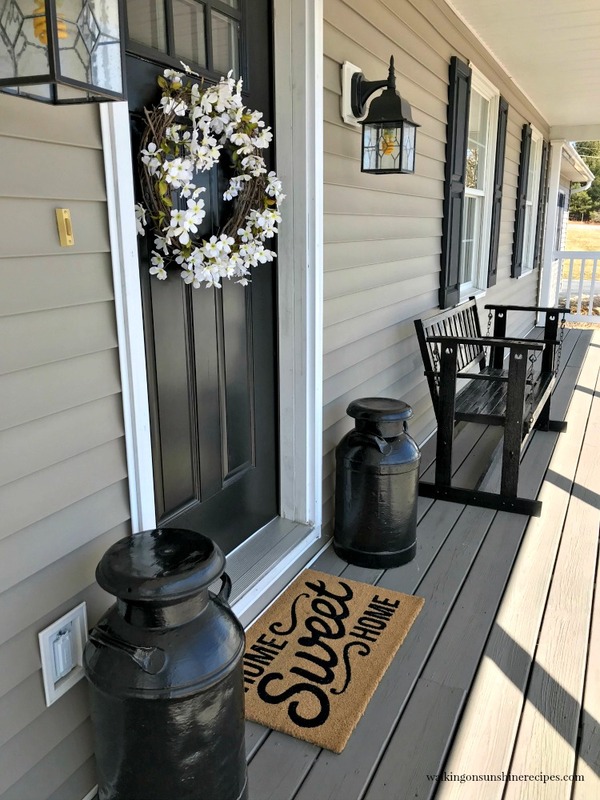 After our long winter I couldn’t wait to get our porch ready for spring! Thanks for visiting Diane! Oh front door always gets so gross during the winter time. I will have to do this to our front door and house too. SNow and winter weather always makes everything look so dirty. Windex is a must in our house for spring cleaning season! I love how this product didn’t drip over everything! Thanks for visiting Censie! Wow makes everything looks brand new. Way nicer than our our dreary cob web dusty areas on our porch. Adding this to my shopping list. It’s amazing what a little bit of cleaning will do after a long winter. Thanks for visiting Kristi! The same for me! That’s why I’m so happy I found a product that actually works. Thanks for visiting today Alaina! Your front porch looks so beautiful, inviting, and sparkling clean! 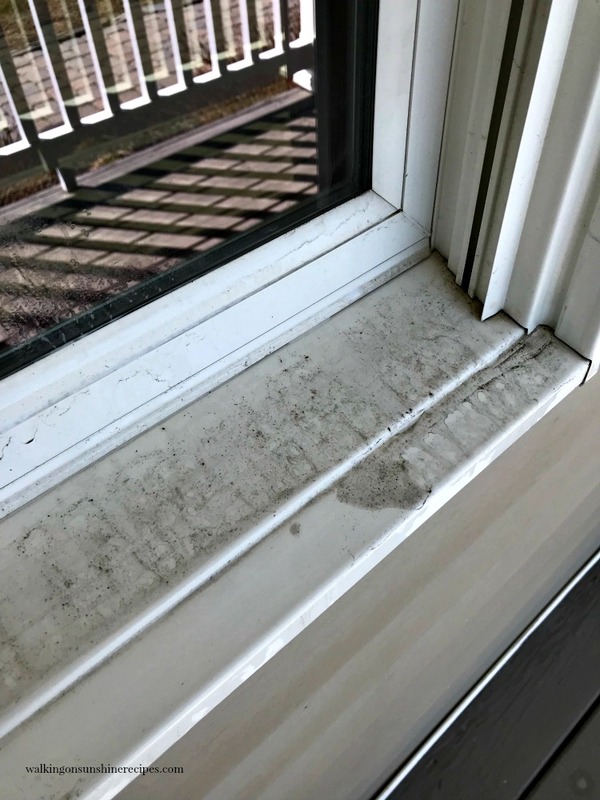 I love how well that Windex gets the grime off the windowsills, too. Thank you for sharing your ideas with us at the #HomeMattersParty this week. Thank you Nicole! 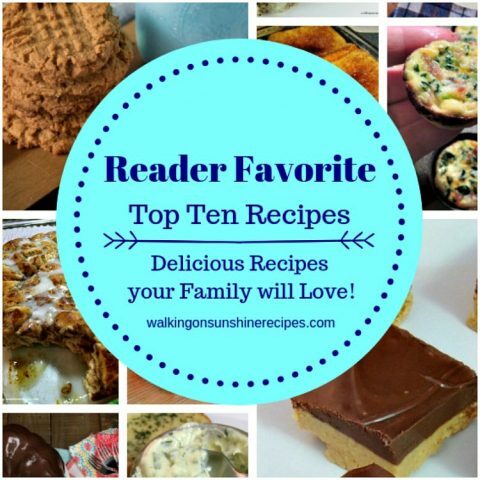 Your party is always one of my favorites! Thanks for the cleaning tips, Lois. Pinned to my Household Tips board! 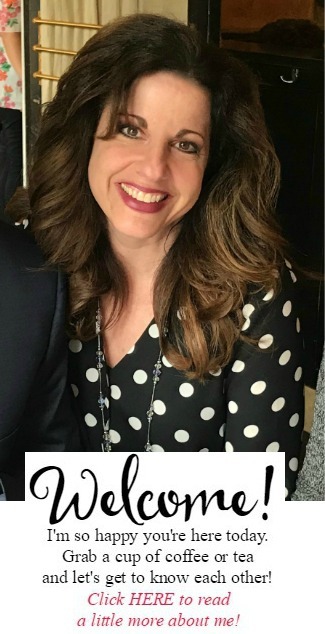 Here by way of Style Showcase… would love to have you join us at Homestyle Gathering!